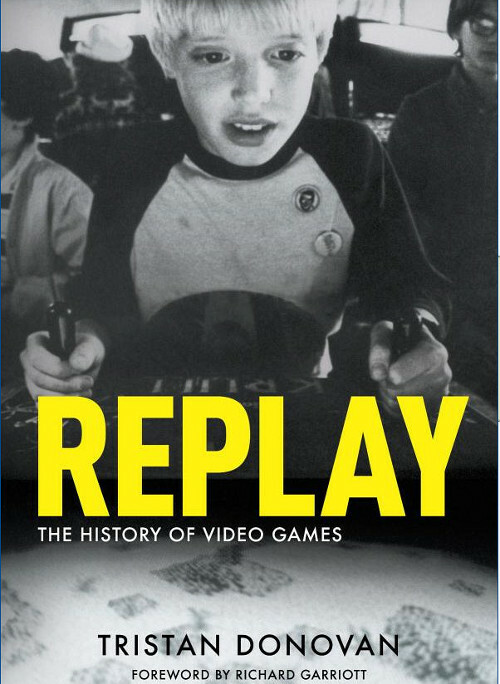 Lately I’ve been reading a book called Replay - The history of video games by Tristan Donovan. As the title suggests, this is a book about the history of video and computer games up to the year it was written, 2010. But it is much, much more than just a record of games of the past! I’ve read quite a bit about computer, computing and gaming history and I have to say this is one of the best books in that lot. If not the best so far. This is not only because it is well written, nor only because it feels like a proper global history of video games (e.g. not being US-myopic), nor only because it digs and describes trends and social causes for changes in games and markets. It is all that, but most importantly it captures the excitement of the generations of young and focused game developers over the three decades of time covered. I am not a game developer and probably at my age never will be. Yet I feel connected — as much as the book is a trip down the memory lane (I probably have played 50-70% of the 80’s games listed), it also brings up strong memories of my personal history of late 90’s when I was part of the “new media” internet startup bubble. It brings up memories of the excitement of venturing on completely new and unresearched areas of computing, business and entertainment. About how you can be passionate about what you are doing. And sometimes, what kind of small effect your work can have. Whether you or someone else will agree with my view on the book is likely to depend on how your own history connects with the themes of the book. For myself the book gave me a whang that I still feel resonating in me! When thinking about all of the pioneers and breakthroughs in games covered in the book I cannot help but feel the same optimistic giddiness right now too. It feels … good. Then you might want to check out AWS & strategy over the years, Betatesting AWS certifications tests, re:Invent — growth pains and re re:Invent.